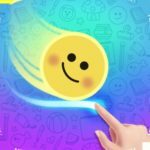 Developed by LionStudios and available exclusively on iOS, Happy Glass is an entertaining puzzle game that challenges players to fill a glass and make it smile again by solving drawing puzzles. 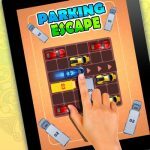 Though at first sight it may not seem a complicated task, you should know that the difficulty of the puzzles increases as you go up the different stages. Luckily, we are here to make your life a little bit easier and share with you our best Happy Glass cheats, tips and tricks! 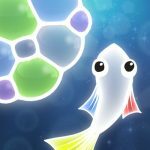 So here are some handy Happy Glass tips and tricks that will help you complete this game, while still feeling satisfied for achieving it on your own! If you don’t manage to get the three stars when completing a level, replay it. This will help you improve your drawing skills, which will be helpful in the long run. If you decide to go for the easy option, you can always achieve that much desired third star by watching an ad. Up to a certain extent, it may feel like cheating. But it’s still a valid option. Most of the times, solving a level can be a complicated task. So don’t be afraid to think outside the box and try different routes to complete the level. Though sometimes there is only one way to break through a level, some other levels require completely different approaches. So don’t be afraid to tweak solutions or come up with fresh ones to achieve your goal. All the elements that appear in a level are there to be used. If there is a platform, a circle, or whatever other element, it was placed there to help you break through the level. So think creatively and put it to a good use! Even the water pipe can be used for drawing and support! In-game hints are rather expensive. So make sure to use them only when it’s absolutely necessary. Though these hints show you exactly how to break through the level, it is true that some levels do seem impossible to solve. Some levels require for you to draw various lines as quickly as possible. And this is where practice comes onto the stage. However, some other times, increased precision is required. If you want to get all the stars, make sure to take your time to draw a flawless line in the right place. Though watching ads after each level may feel a bit like a chore, think on the positive note: you will not only be able to gain amazing rewards, but you will also contribute to the development of great games – such as Happy Glass – by helping their developers earn their living. The prizes range from coins that can be used to unlock new hints to entirely free hints. 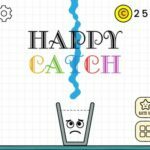 Now that we have shared with you all the necessary Happy Glass cheats, tips and tricks, you are ready to fully enjoy the game! If there are any tips or tricks we have overlooked, you are more than welcome to drop us a line. We will be happy to hear from you!